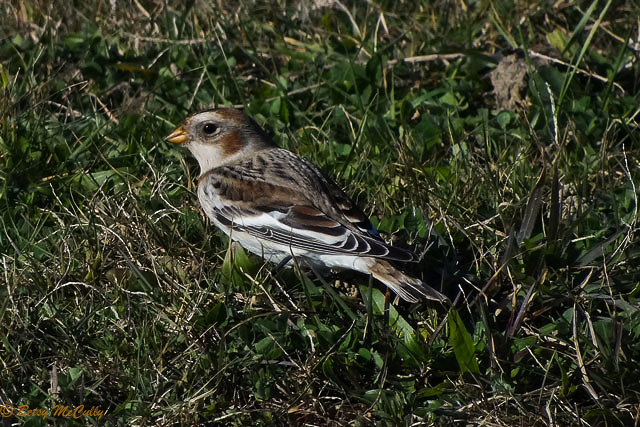 Snow Bunting (Plectrophenax nivalis). Grasslands. Fall migrant and occasional winter visitor.